The Samsung Galaxy S II for AT&T feels like a winner in every way: It’s got a gorgeous screen, really zippy performance, and it is so light and slim it makes the iPhone look and feel clunky by comparison, which is quite a feat! 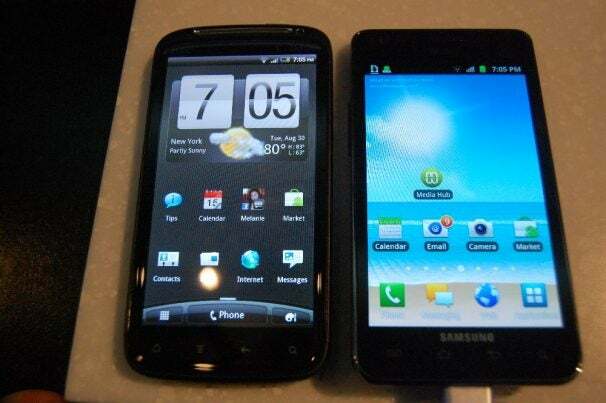 Of the three Galaxy S II phones Samsung announced today today, the AT&T’s has the smallest display at 4.3 inches, compared to Sprint’s and T-Mobile’s practically mammoth 4.5-inch screens. In hand, it makes little difference, though—the Super AMOLED Plus display is still large and boasts incredibly rich, brilliant colors. Although not as sharp as the qHD screen on the Sensation I used for comparison, the Galaxy S II’s screen is still beautiful to behold. Galaxy S II is super thin. Like the first generation Galaxy S phones, the Galaxy S II still feels plasticky, but in return you’re getting a phone that truly feels light-as-air. Performance-wise, the Galaxy S II is blazingly fast. Powered by a 1.2GHz dual core processor, navigation is smooth without a lot of unnecessary animations thrown in, and apps open quickly. Despite a poor wireless connection in this crowded press event, video streamed smoothly without lag. A neat feature in the updated TouchWiz 4.0 user interface is the ability to click on one of the screen button dots on the bottom of each screen to quickly jump to that home screen. It works really fast and is a quite convenient when you’re running multiple widgets. It’s little touches like this that may make you really appreciate this Android device. TouchWiz doesn’t feel as obtrusive on the Galaxy S II as other custom interfaces like the Motorola Blur or HTC Sense, but its Live Panel widgets are a bit on the boxy side. AT&T/Samsung didn’t pre-load the Galaxy S II with a lot of widgets or even accounts for its much-touted Social Hub, but from what I saw, the TouchWiz interface is highly customizable—with drag-and-drop-ability for grouping widgets. 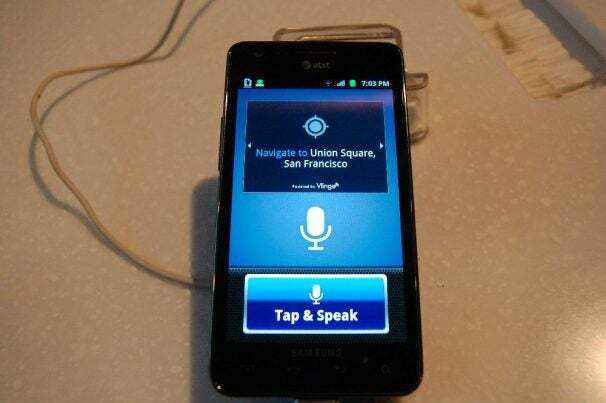 Like many other recent high-end phones, the Galaxy S II has an 8-megapixel camera plus a front-facing camera for video calls. Image quality is impressive, both indoors and out. The shutter speed seems quite fast, making it ideal for shooting kids, sports, pets and other action shots. 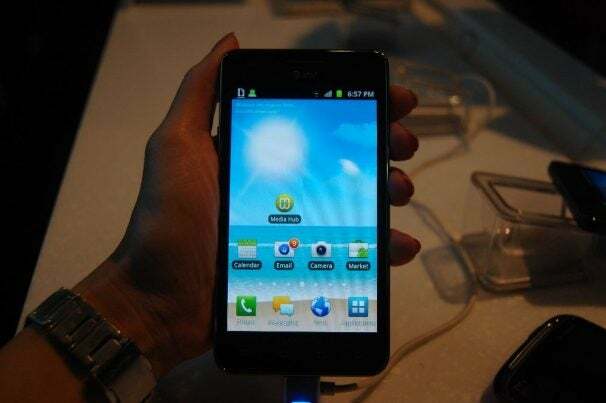 Overall, the Galaxy S II is an enticing Android addition to AT&T’s line-up and seems like a strong alternative to the iPhone 4—and quite possibly the upcoming iPhone 5.